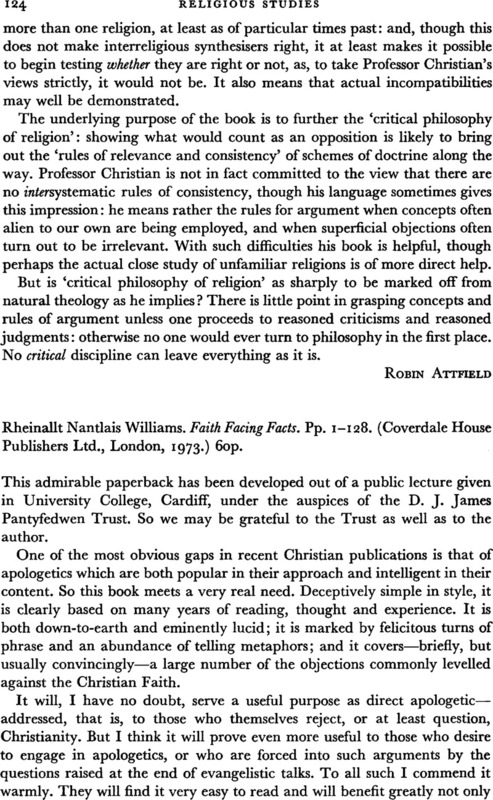 Rheinallt Nantlais Williams. Faith Facing Facts. pp. 1–128. (Coverdale House Publishers Ltd., London, 1973.) 60p.